Qatar Duty Free at hamad international airport . At Qatar Duty Free you will discover more than 90 boutiques and more than 30 cafés and restaurants. where more than 40,000 square metres of dining and retail . The award-winning Qatar Duty Free brings together some of the world’s leading brands in a well developed environment designed to make your experience both memorable and relaxing.Qatar duty free with luxury brands makes shopping easy and affordable at hamad international airport . Qatar Duty Free has even devised and delivered its own coffee-house brand – Jamocha, an already popular coffee café offering fair trade coffee and a variety of freshly prepared snacks at six locations around the airport. And this is just one of more than 30 other dining options available to choose from while you make the most of your journey through Qatar. 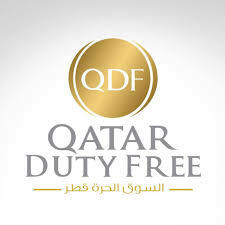 Qatar duty free one of the fastest growing sector in the world. Working with Qatar duty free opens a new well designed lifestyle and helps you build your more focused skills and experience .